November 18, 2018 By Chelsea T.
The Halloween Season may be over but Nile Nightmares Haunted House in Mountlake Terrace is keeping the spooky spirit alive well into the holidays. 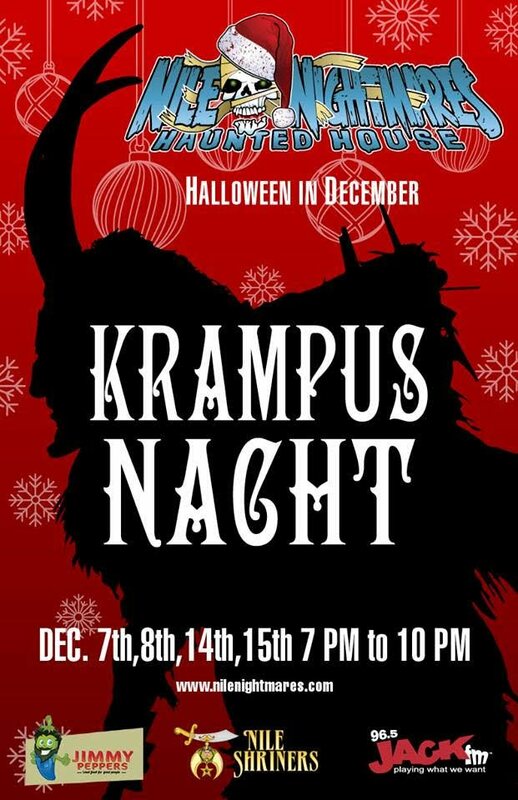 The haunt will be presenting their Halloween in December event 'Krampusnacht' which will take place on four select nights. Thrill seekers will enjoy six haunted attractions that are themed for Winter and Holiday Seasons, photo ops with Krampus, vendor booths, live artists and music, a food truck, beer and wine garden and a five minute escape room experience. What better way to satisfy your appetite for fright during the holiday season?! The event will take place on December 7th, 8th, 14th & 15th from 7-10 PM. Tickets are $20 per person, escape room is a separate charge. Click here to purchase your tickets today! Tickets will also be sold at the door.